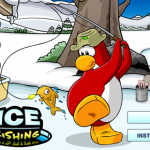 Ice Fishing was released in Club Penguin in March 2006. Below is a video of the game in play. In April 2011 this game was updated with a new main screen and stamps. Hey Train, im just wondering if you have ever even played this game. 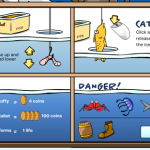 On you penguin, you have no stamps for this game. I play it, but not too often. One day I’ll unlock the stamps in it.